No stranger to Special Olympics, she worked for the Special Education District in Lake County at Laremont School in the late ’70s and early ’80s. It was then that she befriended Sandy Hutchins, the long-time former SOILL Far West Suburban/Area 2 Director, who convinced her to start a Special Olympics program at the school. The program became very successful and Niemaszyk stayed involved until she left the school in 1984. Her involvement picked back up several years later when she started working in Elgin School District U-46. Niemaszyk volunteered as a coach and she encouraged her daughter and several of her friends to volunteer as well. 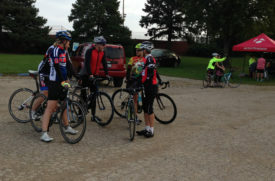 Niemaszyk participates with a team for the Pumpkin Pedal that’s comprised of family members and several friends. They’re teamed formed through a shared love of cycling and various connections to individuals with disabilities. “We believe in living an active and healthy lifestyle and love that Special Olympics provides many opportunities for people with developmental disabilities to develop this lifestyle as well,” she said. Niemaszyk’s first grandchild, Owen, was born in October of 2012 with Down syndrome. She describes him as happy, active and loving who happens to have a disability. 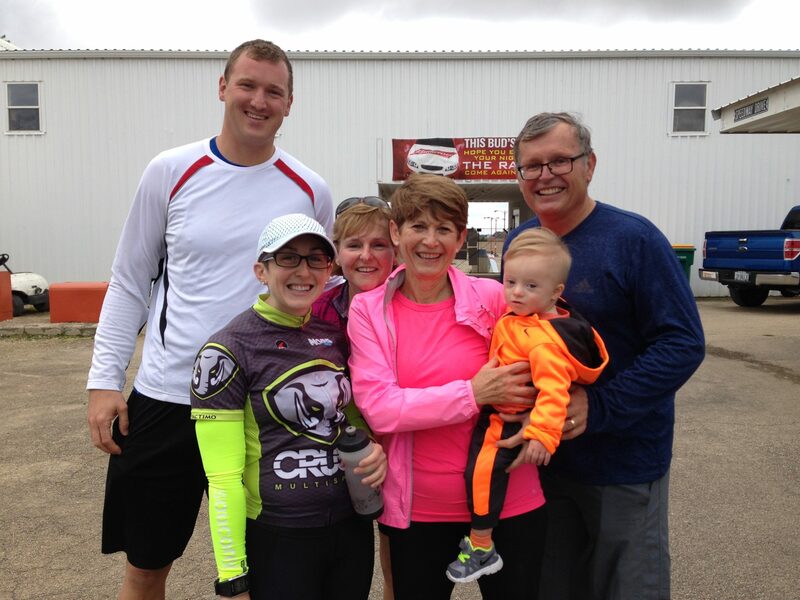 The 25th Anniversary of the Pumpkin Pedal marked an important milestone for Niemaszyk and her team. “This was the first year Owen was big enough to ride in the bike trailer as his dad joined our Team Owen and rode in the Pumpkin Pedal,” she explained. “My family will continue to support Special Olympics as we have for many years. We look forward to the day when our little Owen will participate and we will be there to cheer him on!” said Niemaszyk.